Loops are used in programming to repeat a specific block of code. 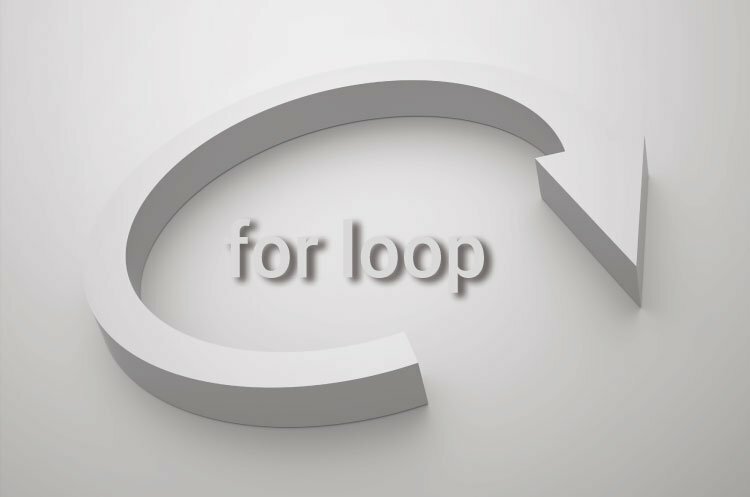 In this tutorial, you will learn to create a for loop in C++ programming (with examples). where, only testExpression is mandatory. The initialization statement is executed only once at the beginning. Then, the test expression is evaluated. 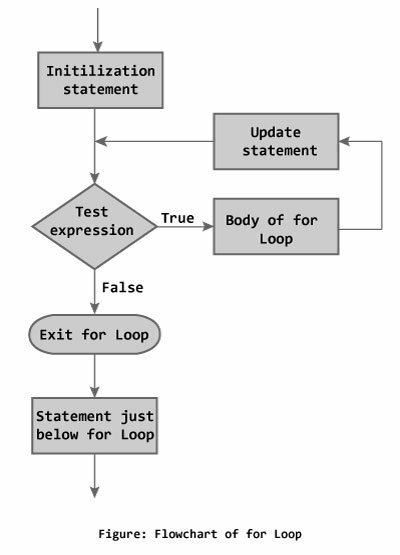 If the test expression is false, for loop is terminated. But if the test expression is true, codes inside body of for loop is executed and update expression is updated. Again, the test expression is evaluated and this process repeats until the test expression is false. Initially, i is equal to 1, test expression is true, factorial becomes 1.
i is updated to 2, test expression is true, factorial becomes 2.
i is updated to 3, test expression is true, factorial becomes 6.
i is updated to 4, test expression is true, factorial becomes 24.
i is updated to 5, test expression is true, factorial becomes 120.
i is updated to 6, test expression is false, for loop is terminated. In the above program, variable i is not used outside of the for loop. In such cases, it is better to declare the variable in for loop (at initialization statement).